Smartphones today offer free navigation apps, which users can use for finding accurate directions when driving or biking. A lot of cars also have built-in navigation systems. 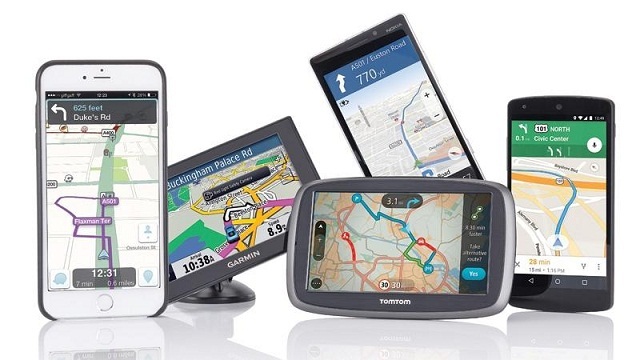 With these available free navigation apps, do we still need to buy a stand-alone GPS tracking device? Originally, cell phones are used for only two things: calling and messaging. But now modern cell phones are called smartphones and it can do many things. It can function as a clock, a camera, a media player, a planner, you can play games on it, connect to the Internet, and use Google Maps to get directions and traffic feeds. Now do we still need a dedicated GPS device? Let’s compare. Comparing the two gadgets is like comparing apples and oranges. We can’t really differentiate them completely because they are different tools and have different functions so each has their own advantages and disadvantages. Smartphones have the upper hand when it comes to connectivity—you can always surf the Internet with it. This means its navigator is always on. And being connected to the Internet means the GPS map is always updated, you can locate the latest opened establishments in your area. Smartphones are touchscreens, so it’s easy to use. In iPhones’ case, it’s voice activated, so there is no need for few flicks to activate your navigator. This is particularly useful when driving. When traveling on foot, smartphones’ navigation system is useful since it’s accurate. 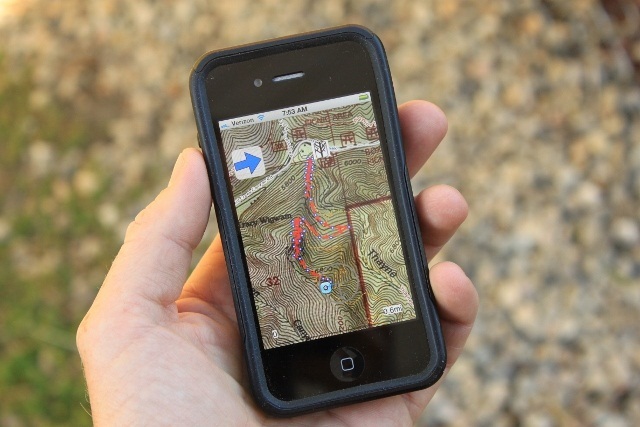 This feature is one of the benefits of using GPS for hikers. It will help hikers avoid getting lost as they trudge through foreign terrain. Smartphones have smaller screen, you will have to squint to see the map while driving. While GPS is active, you can’t use other apps simultaneously. It means you can’t call, text, etc. while GPS is in use. 3G and GPS consume too much of smartphones’ battery, not to mention the user’s data plan. The device easily heats up aside and its power gets drained faster. You will need to buy an extra battery if you are planning for a longer trip. Map has to be retrieved every time it’s needed because it is stored in cloud. Navigation is dependent on data connectivity. It means you could get stranded if you have poor coverage. This is the biggest advantage of standalone GPS devices. GPS devices like Trackimo has a battery that can last 7 days. 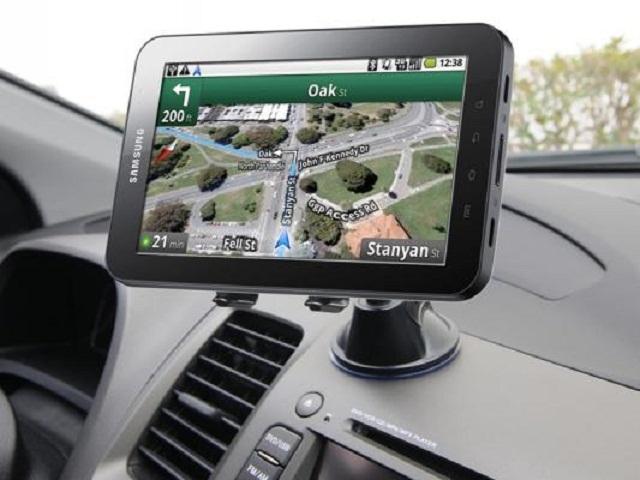 Standalone GPS units usually have 4–5 inches screen, it’s better than zooming your smartphones. It’s also enough for drivers to see the routes clearly. You just have to provide a mount for it. 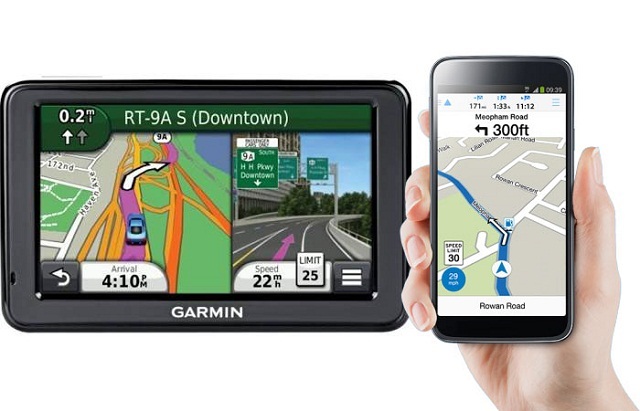 GPS units are actually more affordable than smartphones, plus you don’t need to purchase a data plan for it. The biggest downside of standalone GPS units is probably their use of pre-loaded maps. They can be updated only once a year. Within that period, some landscape have already changed. It doesn’t need Internet connection, this could be a plus yet it’s also a disadvantage, since the tool is not updated, it may not display the latest shortest alternative route. Though very small, you still have to carry it along with your smartphone. The standalone GPS navigator is the better choice, simply because it’s created for a particular purpose—for navigation—just like how your phone is primarily made for calling. However, for people who want to have one device for more than one function, smartphone is best for them. In the end, it all boils down to the consumer’s needs.What is important is you know all the benefits and limitations of each.